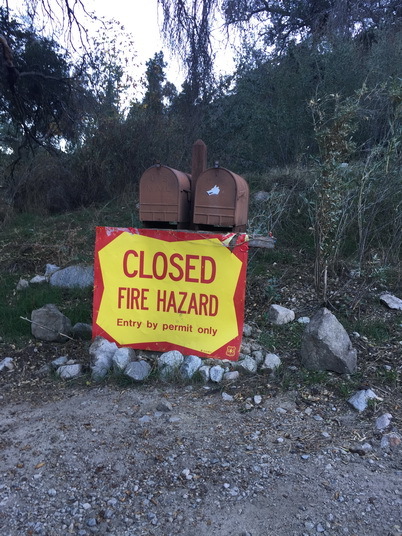 Structures lost to fire, Angeles National Forest. Miranda Mockrin, U.S. Department of Agriculture Forest Service. Snapshot : The U.S. Forest Service’s high-resolution mapping of wildland-urban interface (WUI) areas across the United States is being widely used through a Presidential Executive Order issued to reduce the risk of wildfire to Federal buildings. These data are available online for all users who want to do fine-grained analysis of WUI locations at the state or local level. Wildland-urban interface (WUI) areas, where structures meet or mix with undeveloped natural areas, are places with higher risk of wildfire, and structure loss, injury, and death from wildfire. Managing fire and reducing fire risk in these spatially complex environments is challenging. For the Federal departments and agencies that that own buildings in the WUI, an executive order from President Obama directs agencies use the Forest Service’s WUI dataset to identify their buildings within the WUI, and take appropriate management action—modifying buildings and surrounding vegetation—in order to reduce the risk of wildfire loss. By mitigating fire risk in their own holdings, federal managers will contribute to safer, more resilient landscapes, and encourage the efforts of private landowners, local governments, and states to become fire-adapted. Fully documented data files provide valuable information for anyone who wants to learn about WUI locations at the local, state, or national scale. This knowledge of WUI locations will be extremely useful for policy makers, land managers, fire managers, and others.